That’s not a typo. It’s terrible wordplay that I shall not apologise for. This blog is principally about standing out and getting attention. The key to doing this is to be interesting. I was watching the Joe Rogan podcast last night and a guy called Michael Hunter was on. Joe Rogan’s podcasts are downloaded by many millions each month. The last figure I heard was 120 million downloads per month. This makes the Joe Rogan podcast the most popular chat show of all time. Michael Hunter runs the Antler Kitchen and Bar in Toronto. What is he doing on the most popular chat show of all time? One of his employees scribbled ‘Venison is the new kale’ on the chalkboard outside the restaurant. Someone saw the sign and took offence to it. Activists began staging weekly protests, holding signs saying: “Take Death Off the Dinner Table” and “Your Food Had a Face”. When the protests began affecting business, Hunter retaliated by carving up a deer leg in front of them. Local newspapers started writing stories about the furor. As it does, the news spread. If you search Google News, you will find publications from across the globe covering the battle between Mr. Hunter and the demonstrators. This got the attention of Joe Rogan. Joe hunts and often talks about the evils of factory farming and how the public is distanced from the act of killing. Mr. Hunter agrees with him. Indeed, his restaurant reflects his opposition to factory farming, and belief in using every part of the animal. 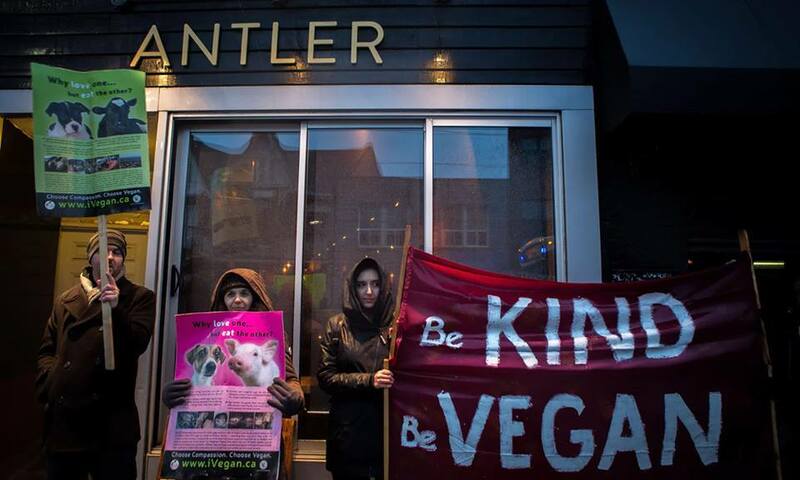 This was not a deliberate campaign by The Antler Restaurant and Bar. He didn’t ask for this circumstance to happen. As a result, he made the news with a belief system that fits in with Joe Rogan’s. It will be heard by millions of people across the world. Mr. Hunter now has a famous restaurant. If you’re looking to appear on a podcast, or get press coverage, you should look to this accidental example. How can you become newsworthy? How can you position yourself so your ‘story’ fits in with the agenda of someone who has a massive audience? I’m going to be running my own experiments to get Charm Offensive mainstream press coverage in the coming months.